In this fresh and razor-sharp debut novel, teenage angst and evangelical ardor make a pilgrimage across an endlessly interchangeable American landscape of highways, motels, and strip malls. Sporting a "King Jesus Returns " t-shirt and well stocked with end-times pamphlets, Jess makes semi-earnest efforts to believe but is thwarted at every turn by a string of familiar and yet freshly rendered teenage obsessions. From "Will the world end?" to "Will I ever fall in love?" each tender worry, big and small, is brilliantly rendered with emotional weight. 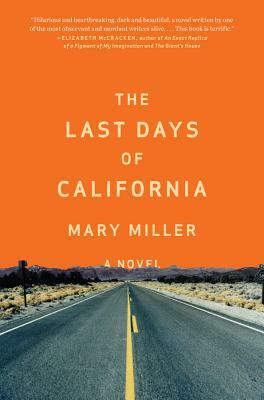 Mary Miller reinvents the classic American literary road-trip story, reviving its august traditions with the yearning and spiritual ennui of twenty-first-century adolescence. As the last day approaches, Jess's teenage myopia gradually gives way to a growing awareness of the painful undercurrents of her fractured family.